Benchmark data sets provide producers with information they can utilize to compare their own herd’s productivity to and evaluate where there may be opportunities to make improvements. Photo credit Troy Walz. The Cow Herd Appraisal Performance Software (CHAPS) program, coordinated at the NDSU Dickinson Research Center, has been working with beef producers and Extension professionals to establish cow herd production benchmarks since 1985. The CHAPS team annually receives herd production data from producers and calculates yearly averages and five-year rolling average benchmarks. These benchmarks can be utilized by producers to evaluate their own herd’s production and consider where there may be opportunity to improve. For the 19-year period of 1998 to 2016, data was collected from approximately 275,000 cow exposures to bulls with almost 15,000 cows exposed to bulls each year. On average, 60 herds per year were included in calculating the five-year rolling average benchmarks. Benchmarks were collected for calving distribution, cow reproductive rates, calf performance (including birth weight, weaning weight, weaning age and frame score) as well as cow age, weight, body condition and pounds weaned per cow exposed. The 15 years of benchmark data provides some interesting insights. The five-year rolling average benchmarks show that there have not been any significant changes in cow pregnancy rates or calving percentages over the 15 year period. 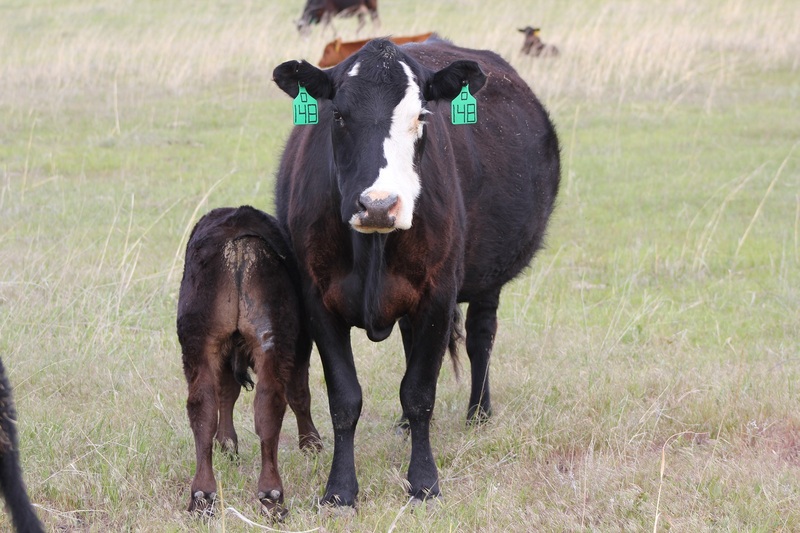 A slight decrease in the amount of pregnancy loss from pregnancy testing to calving was noted along with a slight increase in the percent of calves weaned. Calf weaning weights and adjusted 205-day weights varied throughout the time period with a slight numeric decrease in the average age of calves at weaning. The cow productivity measure of pounds of calf weaned per cow exposed averaged 500 pounds over the 15 years of the study with the high year being 507 pounds and the low year being 494 pounds. When reviewing the data as a whole, what consistently jumps out is how consistent the production numbers have been over the last 15 years. Has productivity for cow herds in the northern Great Plains reached a threshold level? Do resource and biological constraints make the potential for further increases in cow herd productivity limited? These are questions that need to be asked by the individual producer as they evaluate the productivity of their own cow herd. If increases in productivity are being sought, what is the cost associated with achieving the increased level of productivity? Will an increase in productivity result in an increase in profitability? Benchmark data sets provide producers with information they can utilize to compare their own herd’s productivity to and evaluate where there may be opportunities to make improvements. One of the challenges in utilizing production benchmark data sets is that the costs involved in achieving the benchmark levels of performance are often not included. Just because a cow herd is productive, does not mean that it was profitable. If a significant increase in costs is required to increase productivity, the value of increased production is often not greater than the increased costs.